1. Ogawa S., Lee T.M., Kay A.R., Tank D.W. Biophysics Brain magnetic resonance imaging with contrast dependent on blood oxygenation. Proc. NatI. Acad. Sci. USA; 1990; 87: 9868-9872. 2. Belyaev A., Pek Kyung K., Brennan N., Kholodnyy A. The use of functional magnetic resonance imaging in the clinic. Russian electronic journal of radiology. 2014; 4(1): 14-23. 3. Russian (Беляев А., Пек Кюнг К., Бреннан Н., Холодный А. Применение функциональной магнитно-резонансной томографии в клинике. Российский электронный журнал лучевой диагностики. 2014; 4(1): 14-23). 4. Baars B., Geydzh. N.M. Cognition, Brain, and Consciousness: Introduction to Cognitive Neuroscience. Moscow: Binom; 2014. Russian (Баарс Б., Гейдж Н.М. Мозг, познание, разум: введение в когнитивные нейронауки. 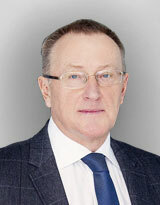 М.: Бином; 2014). 5. Ternovoy S.K., Sinitsyn V.E., Morozov S.P., et al. Functional magnetic resonance imaging in neurosurgery of supratentorial brain tumors. Sovremennaya onkologiya. 2002; 2: 64-67. Russian (Терновой С.К., Синицын В.Е., Морозов С.П., и др. Функциональная магнитно- резонансная томография в нейрохирургии супратенториальных опухолей головного мозга. Современная онкология. 2002; 2: 64-67). 6. Owen J.A., Boniface S. How well do we understand the neural origins of the fMRI BOLD signal? TRENDS in Neurosciences. 2002; 25(1). 7. Buxton R.B. The physics of functional magnetic resonance imaging (fMRI). Rep. Prog. Phys. ; 2013; 76. 8. Krings T., Reinges M.H., Erberich S., et al. Functional MRI for presurgical planning: problems, artifacts, and solution strategies. J. Neurol. Neurosurg. Psychiatry. 2001; 70(6):749-760. 9. Veltman D.J., Mechelli A., Friston K.J., et al. The importance of distributed sampling in blocked functional magnetic resonance imaging designs. Neuroimage. 2002; 17(3):1203-1206. 10. Buxton R.B., Uludag K., Dubowitz D.J., et al: Modeling the he-modynamic response to brain activation. Neuroimage. 2004; 23(1): 220-233. 11. Logothetis N.K., Wandell B.A. Interpreting the BOLD signal. Annu. Rev. Physiol. 2004; 66: 735-769. 12. Chen C.M., Hou B.L., Holodny A.I. Effect of age and tumor grade on BOLD functional MR imaging in preoperative assessment of patients with glioma. Radiology 2008; 3: 971-978. 13. Hsu Y.Y., Chang C.N., Jung S.M. et al. Blood oxygenation level-dependent MRI of cerebral gliomas during breath holding. J. Magn. Reson Imaging 2004; 2: 160-167. 14. Matthews P.M., Honey G.D., Bullmore E.T. Applications of fMRI in translational medicine and clinical practice. Nat Rev Neurosci 2006; 7(9):732—44. 15. Brennan N.P. Preparing the patient for the fMRI Study and optimization of paradigm selection and delivery. In: Holodny AI, ed. Functional neuroimaging: a clinical approach. Informa Healthcare Inc.; 2008: 13-21. 16. Hoeller M., Krings T., Reinges M.H., et al. Movement artifacts and MR BOLD signal increase during different paradigms for mapping the sensorimotor cortex. Acta Neurochir. 2002; 144(3): 279-284. 18. Jack C.R. Jr. Alzheimer disease: new concepts on its neurobiology and the clinical role imaging will play. Radiology. 2012; 263(2): 344-61. 19. Rombouts S.A., Barkhof F., Sheltens P. Clinical applications of functional brain MRI. : New York: Oxford university press; 2007. 20. Peck K.K., Bradbury M.S., Hou B.L., et al. The role of the sup-plementary motor area (SMA) in the execution of primary motor activities in brain tumor patients: functional MRI detection of time-resolved differences in the hemodynamic response. Med Sci Monit 2009; 15(4): 55—62. 21. Peck K.K., Bradbury M., Psaty E.L., et al. Joint activation of the supplementary motor area and presupplementary motor area during simultaneous motor and language functional MRI. Neu-roreport 2009; 20(5): 487—91. Токарев А.С., Чувилин С.А., Степанов В.Н., Рак В.А. Роль функциональной магнитно-резонансной томографии при удалении опухолей в функционально значимых зонах головного мозга. Нейрохирургия. 2017;(3):64-69.